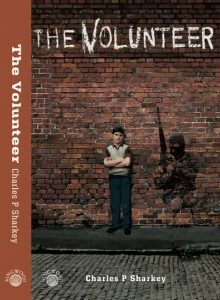 The Volunteer is a powerful and thought-provoking examination of the Troubles that plagued Northern Ireland for almost three decades. It follows the struggles of two Belfast families from opposite sides of the sectarian divide. This revealing novel will lead the reader to a greater understanding of the events that led from the Civil Rights marches in the late Sixties, through the years of unbridled violence that followed, until the Good Friday Agreement of the late Nineties. Born in the same hospital, within hours of each other, Danny Duffy and William Morrison would never meet again, but their lives, and the lives of their families, would be tragically intertwined by politics, secrets and blood. While William Morrison shuns the violence that engulfs West Belfast, Danny Duffy finds himself standing in front of a panel of IRA men, ready to take up arms as a Volunteer; but what is he fighting for and how far is he willing to go? The Volunteer is now available to order using the Paypal facility below.